Enterobacteriophage [math]\lambda[/math] is a temperate virus that normally infects Escherichia coli bacteria, resulting in virus replication and eventual lysis of infected cells. 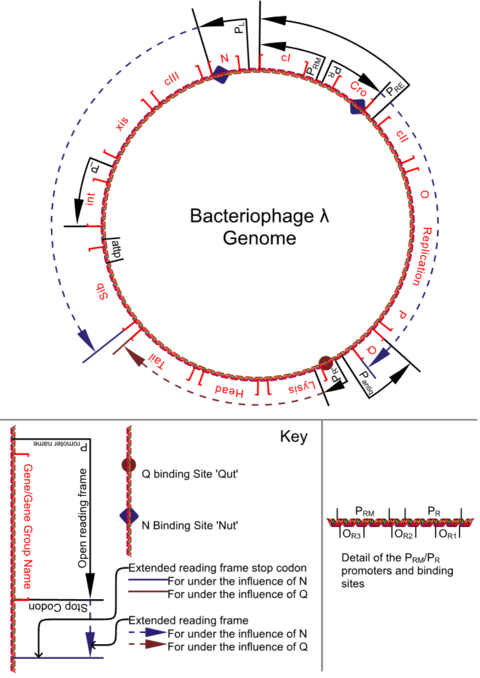 In some cells, however, the virus DNA is integrated into the bacterial genome and the cell survives (the lysogenic process). Research has found that viral protein cro play important roles in the lysis/lysogeny viral switch, and proteins N and Q in the infection process. Controlling the amount of viral protein in cells could prejudice viruses towards a certain pathway, resulting in a concentration-dependent switch. 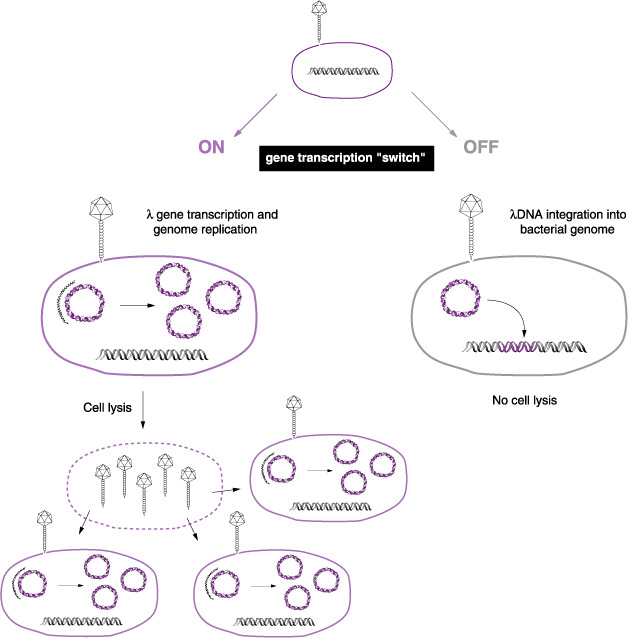 Protein concentration and production can be regulated using a riboregulator device.